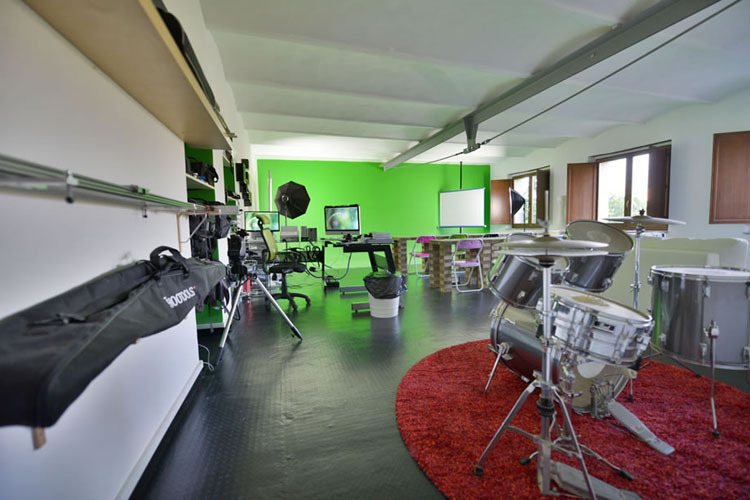 The Filmaking Classroom is locate inside Davide Vasta studio. A space full of inspiration and creativity that pushes students ideas beyond any limit. 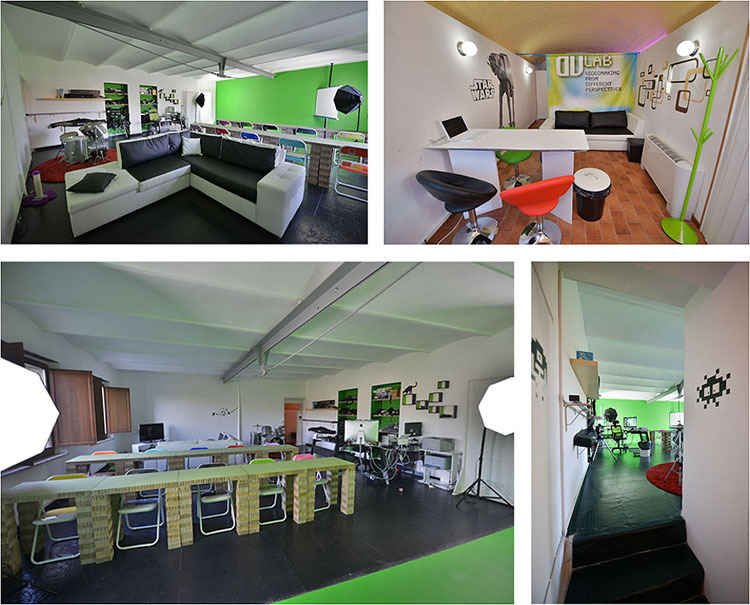 The space is both a classroom for teaching and a virtual set with Green Screen capabilities. Students can work with state of the art DSLR cameras, Motorized sliders an Robotized tripods under Davide Vasta direction. A 427 Sqm, luminous room ideal for important conventions or grand receptions. A modern and minimalist space with a look conceived to be enjoyed anytime of the day and in any season. This is thanks to the large skylight centrally located and the glass windows that encircle the room allowing the sun to enter from dawn to dusk. 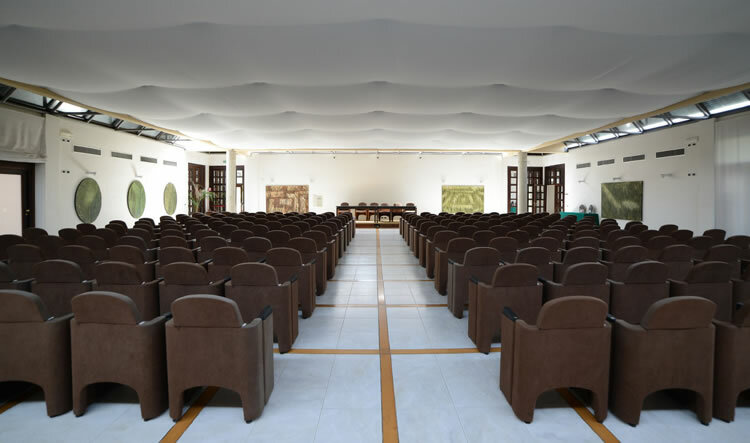 The Congress Center is equipped with a lighting system with five various shades of light that offer the freedom to choose your room lighting: from efficient lighting for speakers to creating the right atmosphere for a special event. 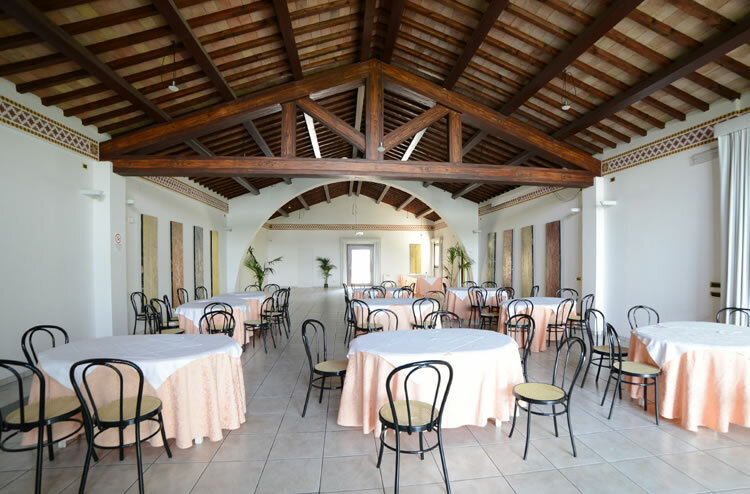 This center benefits from an ulterior wall that opens to widen the room transforming it into a space of 427 Sqm which looks out upon the Pieve Castle. The paintings that compliment the room, are of the famous international painter Rossella Vasta, winner of the 2004 Bienniale International in Florence. The award winning painting is displayed on the internal wall of the Congress Center. A 204 sqm, luminous rectangular hall with a panoramic view of the valley below. This elegant hall has an antique touch thanks to the wood beam ceiling encased in terra cotta tiles and the external walls are in stone. 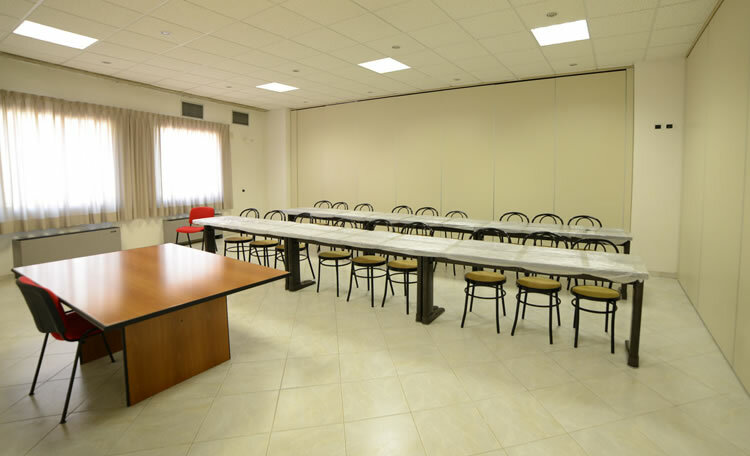 The room is easily capable of meeting the needs of any event and is equipped with all the necessary technologies for the preparation of gala events, conferences, meetings and receptions. Two Modern, luminous, generous sized rooms. They take the name from their magnificent view on the Pieve del Vescovo Castle. They have modular walls that allow the rooms to have two possible arrangements: two rooms of around 60 Sqm each or one large room of more than 100 Sqm. Two modern and luminous rectangular classrooms (35 and 32 Sqm). Great windows on three sides of the room open to the sight of the Castle and the small medieval villages nearby of Migiana and Mantignana, from which the classrooms take their names. The classroom is prepared with a modern horse-shoe shape table that can accommodate up to 25 students. 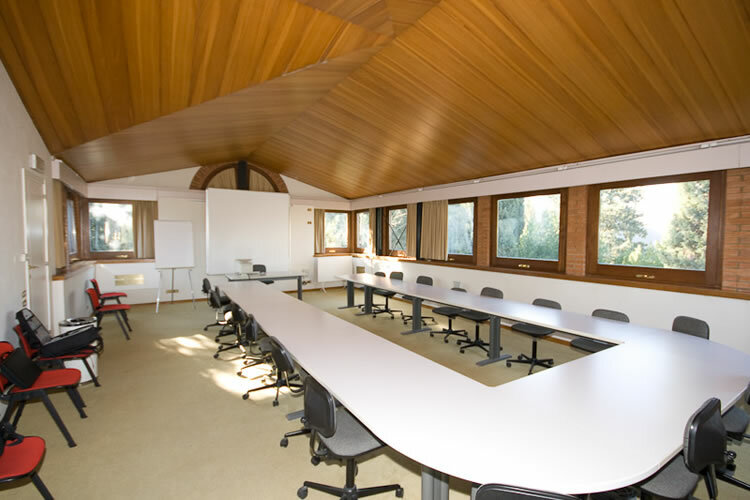 The room is equipped with all the necessary equipment and technologies for a classroom.